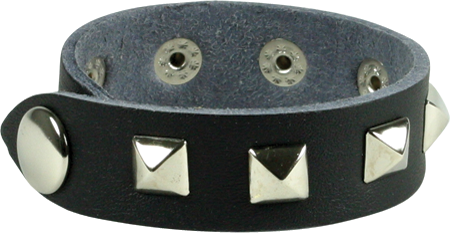 Narrow wristband with single row of pyramid rivets and popper fastening. One size 2 x 21cm. Black only.